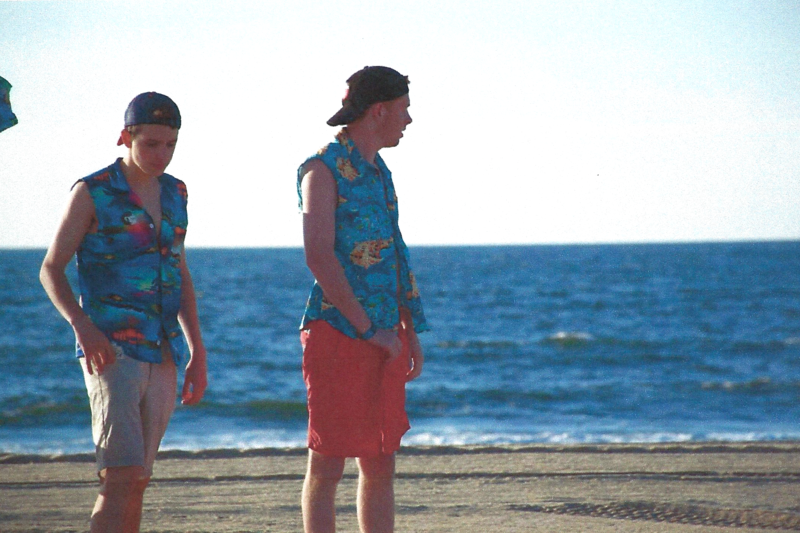 WESTFIELD, NJ — One year after graduating from Westfield High School, Luke Beaulieu and Michael Stokes are simultaneously attending college and running their own startup business, Kahunas Sleeveless Hawaiians, a sleeveless Hawaiian shirt company. Beaulieu, who studies entrepreneurship and finance at Babson College in Massachusetts, began building the concept last year as his senior project at Westfield High. At first, business grew through word of mouth. In the year since Beaulieu launched the first order of Kahunas with his senior project, he has teamed up with Stokes, a fellow Westfield graduate and current engineering student at the University of Denver, to scale the business nationwide. The two 19-year olds have worked to better design, develop and market the product. So far, Beaulieu and Stokes have amassed over a thousand dollars of sales in a target demographic of ages 15—25. For Beaulieu, the key to being an entrepreneur, and turning an idea like Kahunas into a reality, starts and ends with having thick skin. Kahunas Sleeveless Hawaiians are available at www.kahunas.life for $24.99 in any one of three signature styles: The Big Kahuna, The Malasada and The Maverick. © Copyright 2017 TAP into LLC, All rights reserved.